For me everyday carry (or EDC) conjures up images of men who love to carry hand guns, automatic knives, tactical bottle openers and $300 flashlights in case of things like a zombie attack, or a stubborn pistachio shell. My everyday carry is a little bit less intense; I carry 1 small pen, the Zebra SL-F1, a small memo pad, keys and a phone. So why is the Zebra SL-F1 my EDC choice? To start, it’s tiny. It measures a mere 3.25″ closed and extends to a reasonably comfortable 4.25″. The pen can be opened with one hand, which is great for quick notes and because of the telescopic mechanism the point will not accidentally extend while in my pocket. Nothing more annoying than getting stabbed. 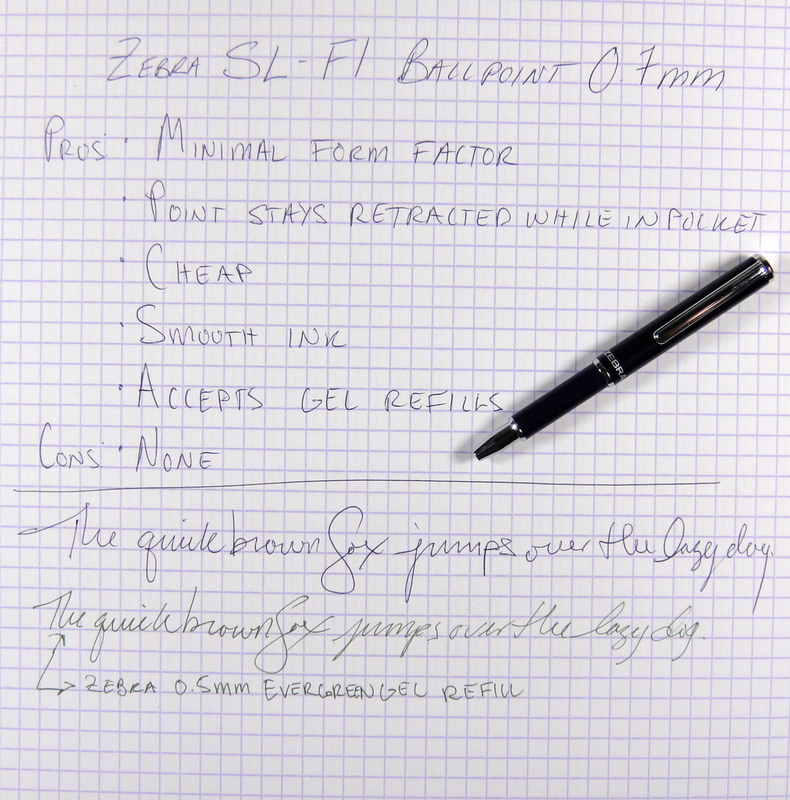 The SL-F1 comes with a good quality 0.7mm ballpoint refill which writes smoothly. I, however, use the Zebra Sharbo X gel refills in my pen as they come in 0.4mm, 0.5mm and a variety of colors. The gel ink runs out a bit faster than the regular ball point but the smooth gel ink is a worthwhile trade off. 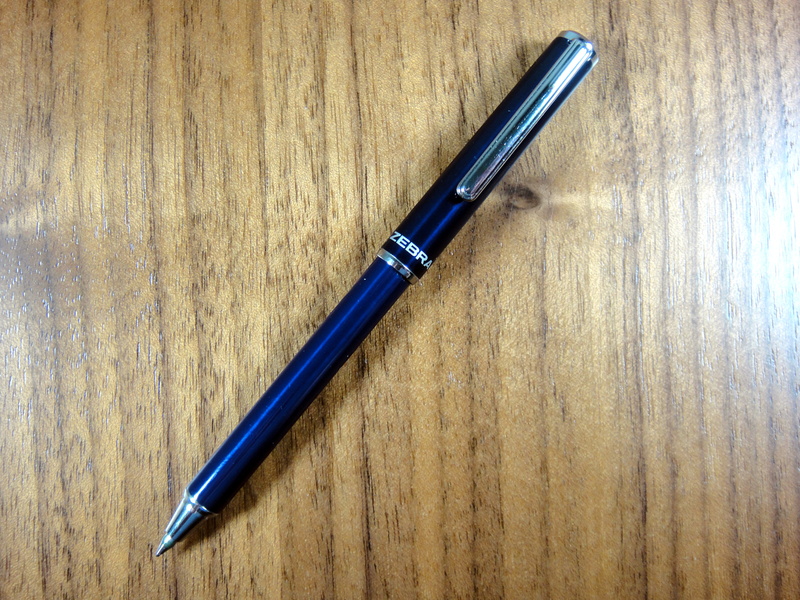 The SL-F1 is quite skinny, .25″ in diameter at it widest point, so don’t plan on using this pen to write a long letter. The SL-F1 weighs 12 grams and feels high quality in hand. 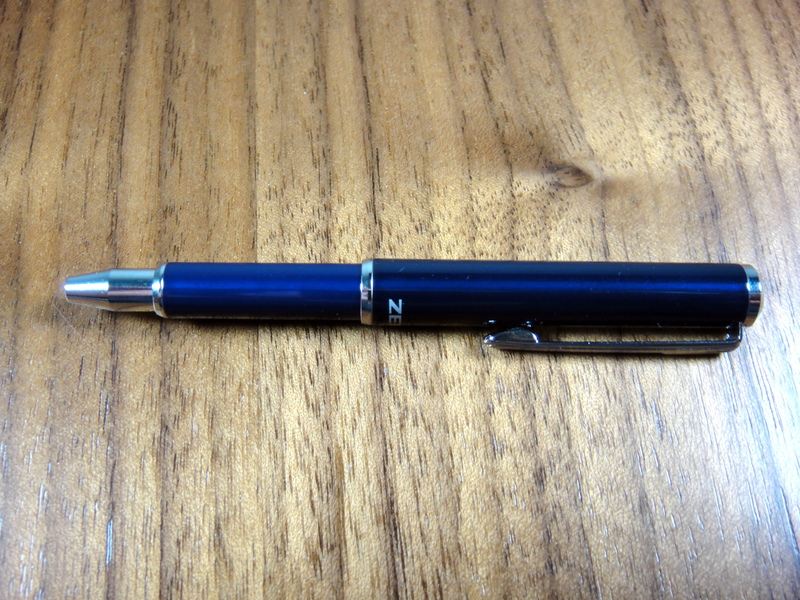 At $5 you cannot really go wrong with this little pen it’s great…I carry it everywhere. 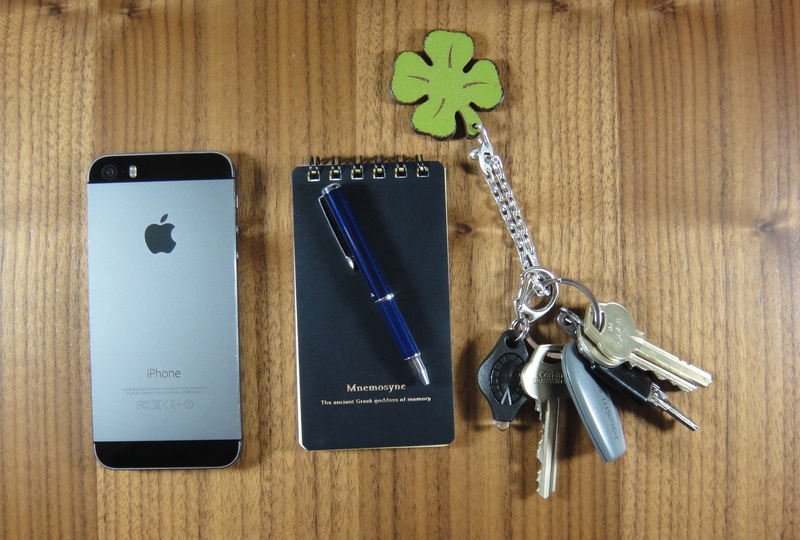 I use these two (I have two–black and green). They are the perfect size for a purse pen, and I have found them to be quite sturdy. When they are telescoped, you don’t need to worry about ink getting all over the place because you forgot to cap the pen. Thank you for your comment Denise. I think that they are the best pocket/purse pen because, like you said, they wont open and bleed ink.